@bossanueva is on Carousell - Follow to stay updated! 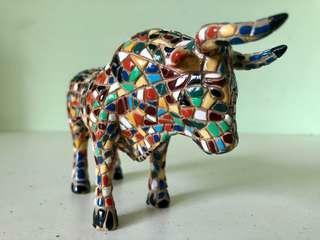 Decorative ceramic bull figurine based on Antonio Gaudi mosaic technique. Not only good ornament for your home, but also can symbolise great energy and fortune for your office desk space! Dimensions 17cm x 5cm x 8cm. 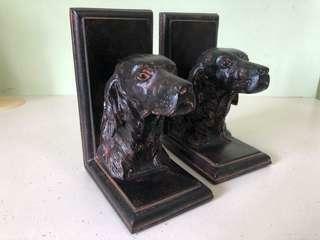 Decorative set of bookends feature a pair of Spaniel Dogs that hold up your free-standing book collection beautifully. Both functional and aesthetically pleasing even on their own. 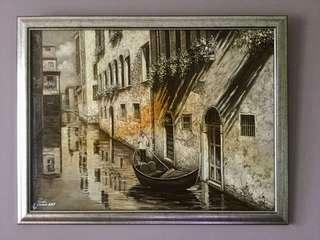 In very good condition and sturdy. Dimensions 16cm x 8cm x 12cm.